GSF Motorworks is the leading independent car-servicing workshop in central and south-west London. Our customers have the service, repair and the maintenance of their car carried out cost effectively in line with the manufacturer specifications. Our car body shop is housed in separate premises and is capable of perfectly restoring your luxury car’s original condition, time and cost efficiently. We carry out jobs ranging from small dents and scratches to major accident repairs. Do you want to have dents and scratches fixed or are you looking for some more serious accident repair? We are here to help. Call us for a quote. 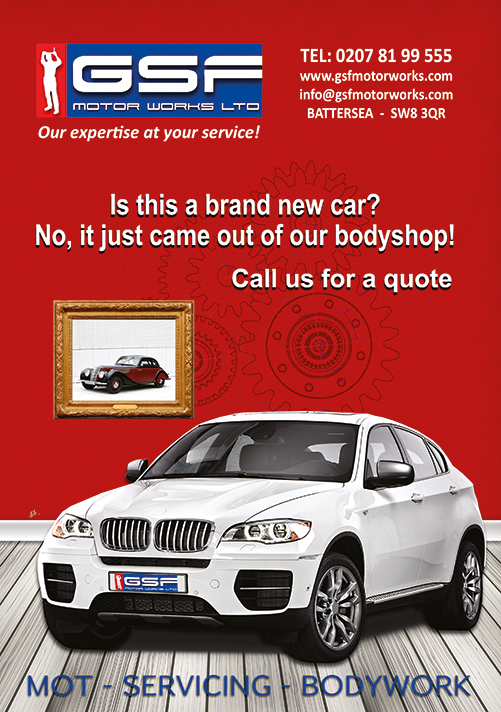 We would be happy to provide you with a competitive quote on bodywork repair. Please contact us.